This iconic landmark was part of Highland Park from 19xx-19xx, and represents many memories of the park's early days. 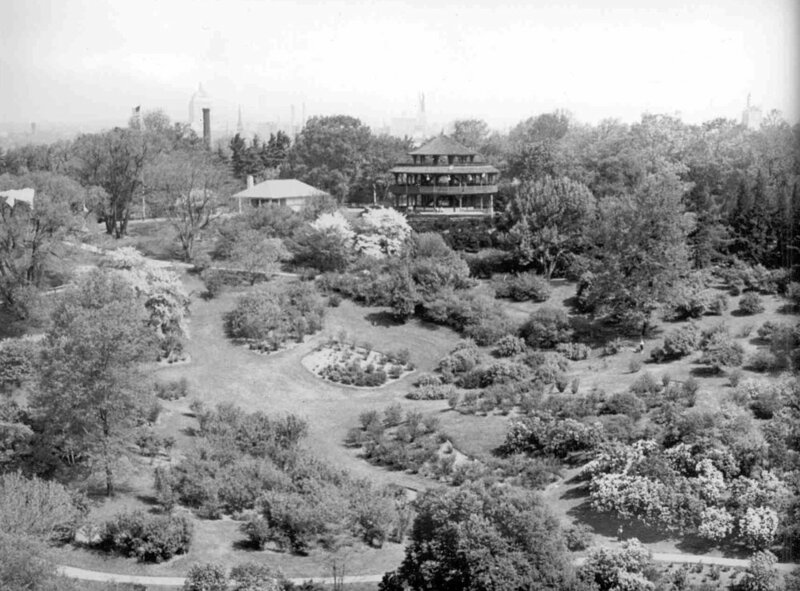 As part of his firm's commission to design Rochester's Park System, renowned landscape architect Frederick Law Olmsted's plans for Highland Park included a viewing structure at its pinnacle. Olmsted used the existing topography of the Pinnacle Ridge, a glacial moraine, to emphasize the plant materials and park elements incorporated into the Highland Park design. The high ground east of the existing reservoir served as the location of a focal point and as a viewing feature of the surrounding areas. To enhance the scenic vistas, a circular, three-story, open air pavilion was constructed to serve as the park's focal point. This structure afforded a visitor a panoramic view of the Park and the surrounding city and countryside. Rochester nurserymen George Ellwanger and Patrick Barry funded the $7,000 project as a gift to the children of Rochester. Aside from its spectacular views, the Pavilion was also a reflection of Olmsted's belief that fresh air brought health benefits to everyone, particularly sickly children. The Children's Pavilion, as it became known, created a park feature that provided enjoyment of the scenery and a gathering place that would benefit children's health. The Pavilion was dedicated to the children of Rochester on Monday, September 29, 1890. It was a momentous occasion for the citizens of Rochester. Children were released early from school so that they could attend the dedication ceremony. An approximate crowd of 10,000 people attended the ceremony. The Children's Pavilion became a focal point of Highland Park. 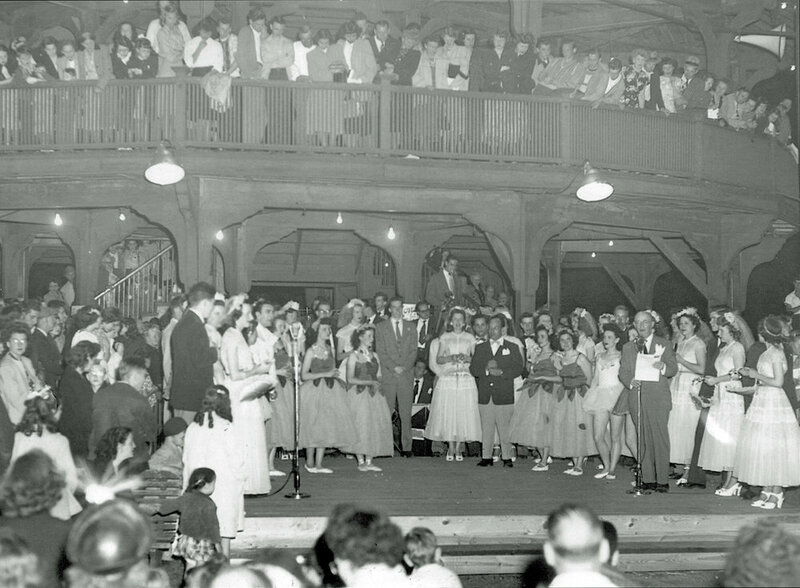 It became a popular gathering spot and the site for pageants, band concerts and private events, such as weddings. 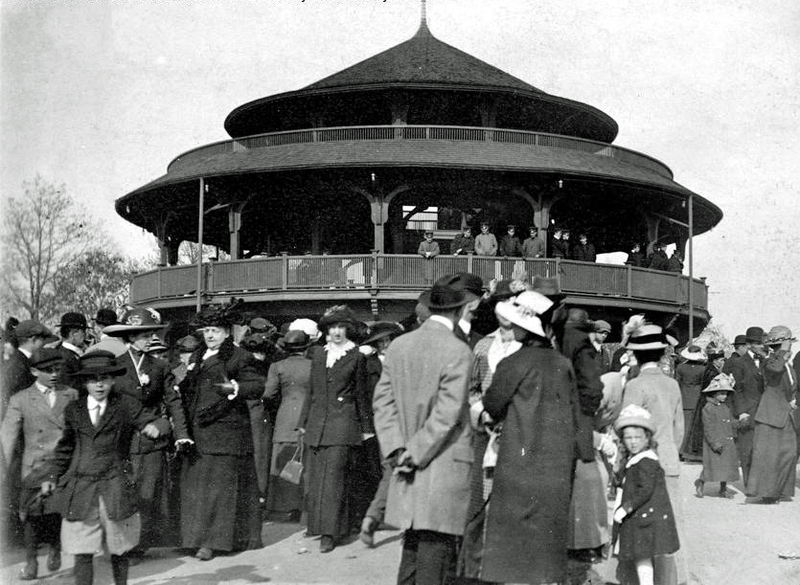 For many years the Parks Band entertained from the second floor of the structure during Lilac Time and summer concerts, and the Pavilion was a favorite of active climbing children. Over time, the Children's Pavilion suffered deterioration and the structure was demolished in 1963 due to safety concerns. At the time of the demolition, Rochester City Council's expectations were that the structure was to rebuilt on the original site.